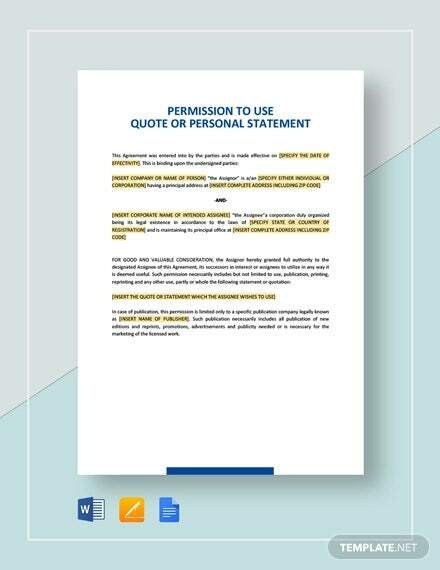 Personal statements are documents that are written in response to a request of information made by another party. 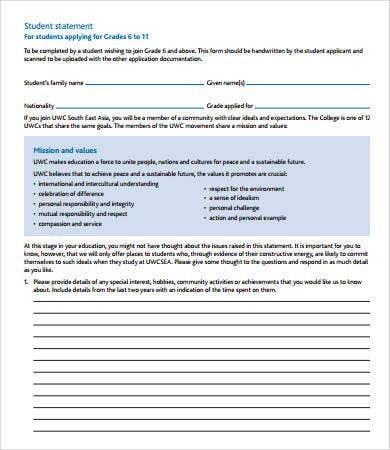 Usually, one writes a personal statement samples in essay form to apply for colleges. 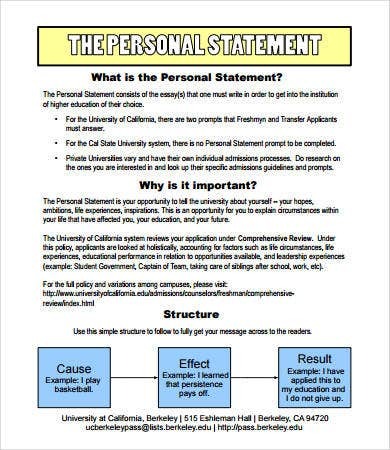 There are also personal statements that come in the form of a list, such as the personal financial statement. 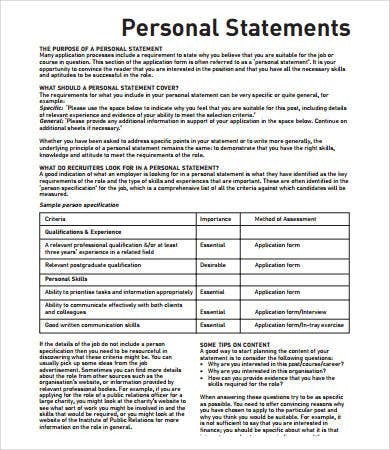 Whatever personal statement format you are looking for, our statement templates got you covered. 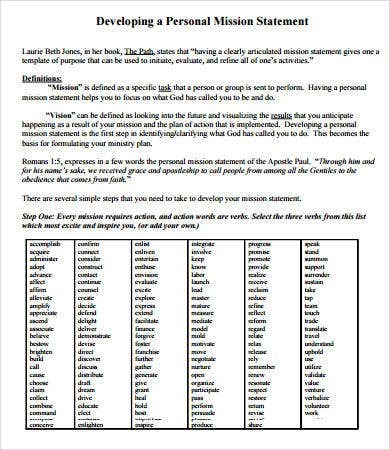 These are in PDF format, can be downloaded, and printed. All the text are totally editable to accommodate the information that needs to be included. 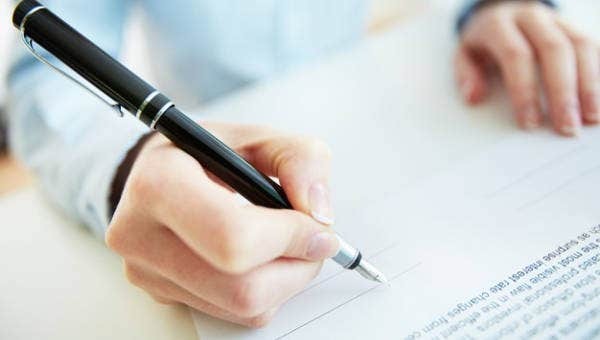 If you are starting a business or applying for a VISA, loan, or some kind of permit, you might be asked to write a personal financial statement. 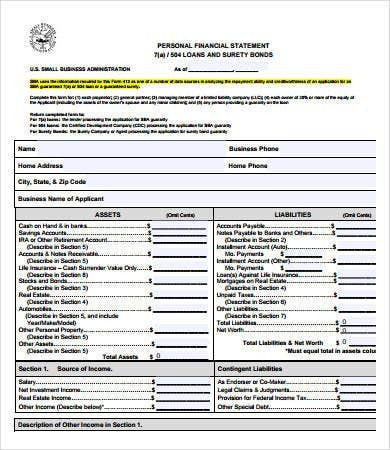 We have in stock templates for personal financial statements that you can use and edit with your personal information. 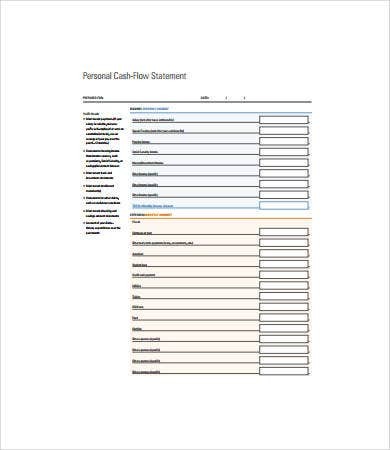 Once you have obtained these documents, you can now use the income statement template painlessly. Jut download the ZIP file, extract the PDF document, and put in your information on the boxes. It is a simple and straightforward template that will save you time and effort. 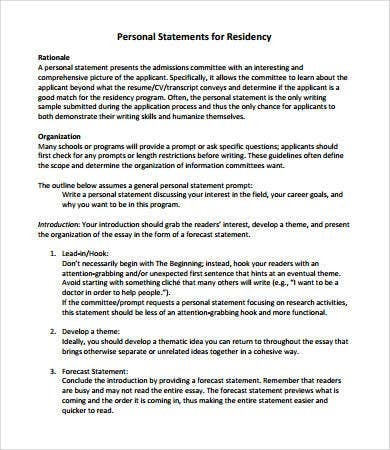 Almost all colleges and universities require student applicants to furnish them a personal statement as a last step in the application process. Questions vary from one school to another, but the goal remains the same: they want to know how you can be an asset to the institution. 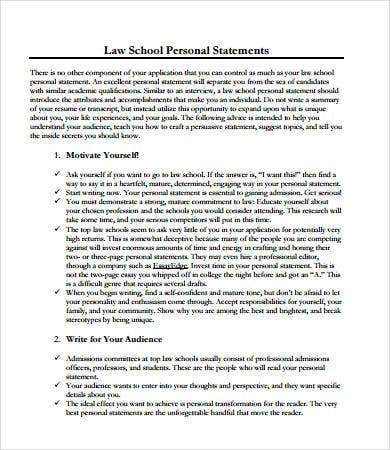 We have a number of graduate school personal statement samples from universities to give you an idea of the questions you might face and the kind of answers you might give to leave a good, lasting impression. Download the ZIP file and extract the PDF file. Read the entries and questions thoroughly. Answer with self-confidence without sounding cocky. Practice writing your answer on the space provided. If your answer exceeds the space, you might want to tweak your answers so that they fit snugly and neatly on the provided space. 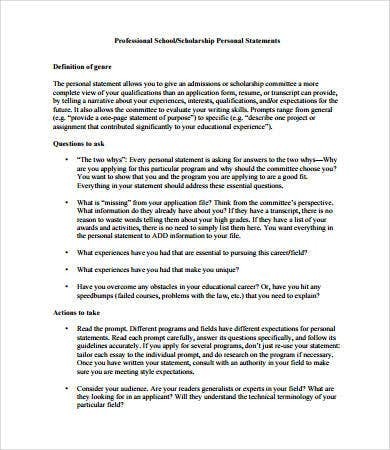 Get someone to read the personal statement sample and solicit advice for improvement.